We are always looking for whats new in the world of Men’s Jewellery so we have added two new ranges to our site this week. The first range is Urban Male Leather , the range offers Urban Male Leather Cuffs nice chunky real leather bracelets up to 50mm wide. They come in a great range of styles, width’s and colours. The other range is Urban Male Leather Neckwear , real leather chains and pendants to add style to any look. 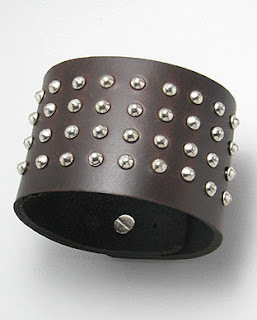 Leather is ideal for Men’s Jewellery its tough, water resistant and gives a great relaxed look! >The other Urban Male range is Urban Surf. As you might think by the title its a relaxed range of jewellery using materials such as wood, shell, leather and cotton to make great look jewellery. We have a range of Men’s Surf Bracelets and Men’s Surf Neckchains both are already proving a hit with our customers!